St. Thomas came out hard in the first period but it was UPEI who caught the breaks. Margaret Lockyer scored at 11:12 on the PP with a seeing eye shot and Lindsay Oakes at 18:34 staked the Panthers to a two goal lead. 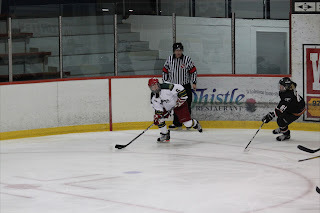 The Tommies rallied late when rookie Kelty Apperson (Brewster, Ryan) backhanded one top shelf with 13 seconds left in the period. Shots were 13 - 8 for STU in the first. The late goal by Apperson seemed to fire up the Tommies as they blasted out of the gate in the second. Emily Ryan (Duffield, Apperson) got her first goal in green and gold at the 20 second mark and Kayla Blackmore (Steinert, Francis) potted one at the 50 second mark for a 3 - 2 Tommies lead. STU controlled much of the second period and would increase their lead at 15:53 when newcomer Karrie Gorman (J. Miller, C Fiander) made it 4 to 2. Emily Francis (Marcelline, Blackmore) would get her second of the preseason at 18:34 to make it 5 to 2. UPEI responded with 6 seconds left when Lindsay Oakes scored her 2nd goal of the game to decrease the margin to two. Shots were 9 to 5 in favour of STU in the period. In the third it was the Panthers turn to dominate but only on the shot clock as UPEI out shot STU 12 to 2. The Tommies defense and goaltender Julia Sharun stood strong for the remainder of the game, including a minute and fifty-four second 5 on 3 Panther powerplay. The final score was 5 to 3 for St. Thomas. Seven rookies dressed for today's game and none of them disappointed. The line of Kelty Apperson, Katie Brewster, and Emily Ryan will get points this season to augment production from Kayla Blackmore's line of Kenya Marcelline, Blackmore, and Emily Francis. No. 6 Kelty Apperson (conspicuous for wearing her midget team's red pants and helmet) stood out to this observer as did No. 5 Kenya Marcelline for her quickness. On D, Amy Duffield and Eliza Snider were both consistent on the back end. The future looks bright for the Tommies. 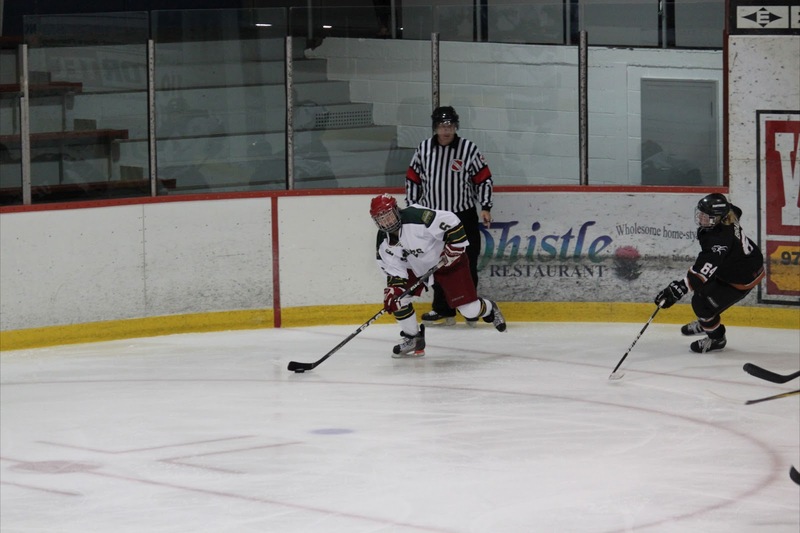 The Tommies will be back at it next weekend when they have 3 games at the annual Universite de Moncton preseason tournament.